When AT&T Inc. (NYSE:T) was faced with stiff competition from other market players, the company rolled out an equipment financing program, which separates service costs from that of equipment. In a regulatory filing on Tuesday, the company said that it expects 50% of customer usage of NEXT in the third quarter. The said 50% is however less than what market analysts had expected. 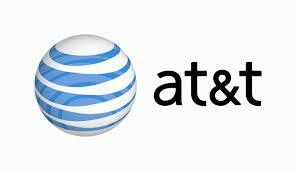 AT&T Inc. (NYSE:T) had earlier said that it expects the usage of NEXT to reach two thirds by end of 2014 financial year. The growth in the industry has been stifled with more competitors coming into the market, something that has led to the reduction of prices. The pressure has compelled players to review their rates and to spend more in advertisement to reach out to new customers. With NEXT, AT&T Inc. (NYSE:T) has been faced with lower revenue per head, although the company has registered higher revenue springing from equipment. This is because some customers first focus on the equipment expenditure before going for the service. Most of the customers that players have been relying on are smartphone users. With the market reducing, companies are focusing more on connected devices. The company has been able to secure 8 deals with automakers for the supply of wireless connection services and is expected to secure more to stabilize its revenue from this growing market segment. Connected devices is freeing customers from the overreliance on home based networks, and instead allowing them to roam with their services. A good example is the ability to convert a car into a Wi-Fi hotspot, enabling it to connect to other devices. AT&T Inc. (NYSE:T) uses a technology that allows it to remotely make adjustments to a car’s connection firmware so that it conforms to the available local settings.